With an abundance of gymnastics & tumbling opportunities for your family, SCGA's fall schedule provides morning & evening classes for all levels! No matter what age or skill level, SCGA has something for you! SCGA Birthday Parties include high flying trampolines, massive inflatables and free rein over 25,000 Sq ft of gymnastics equipment. Starting at $175, invite guest, bring your own food and let us take care of the rest! We offer unstructured play or open training opportunities to anyone looking to get ahead, socialize or just have a blast. High Flying Fun. No experience required. Our camps deliver hours of gym time, crafts and structured games. Don’t miss out! Welcome to SCGA, a cornerstone for quality gymnastics instruction since 1994. Located in historic St. Charles, we are the premier children’s activity center, offering recreational gymnastics classes for children from 6 months through 18 years. We also offer both Boys and Girls competitive gymnastics teams, tumbling classes, special needs programs, high school gymnastics programs, exciting parties for multiple occasions, camps, and more. We offer over 25,000-square-feet of training space filled with state of the art equipment including oversized trampolines and in ground foam pits. Open 7 days a week with most classes and levels offered on multiple days and times to fit your scheduling needs. 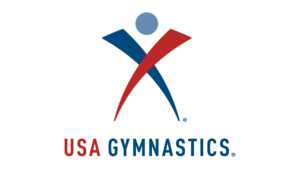 In addition to teaching gymnastics, our curriculum focuses on multi-sport readiness, general athletic preparation for other activities, and character development. At SCGA, we pride ourselves on the multiple opportunities we offer to a wide variety of children interested in this amazing sport. Whether your child needs an outlet for their boundless energy, looking for additional training to springboard their skills into a high school season, or aspire to become a competitive team athlete, SCGA can provide a path for your child. More importantly, we strive to provide many of the valuable life lessons learned at St. Charles Gymnastics Academy to extend beyond the athlete’s career, regardless of their ability.